Last couple of days I've developed an intermittent problem whereby the revs sometimes drop when idling, usually when pulling up to a junction or parking. Any ideas before I get my garage to have a look ? 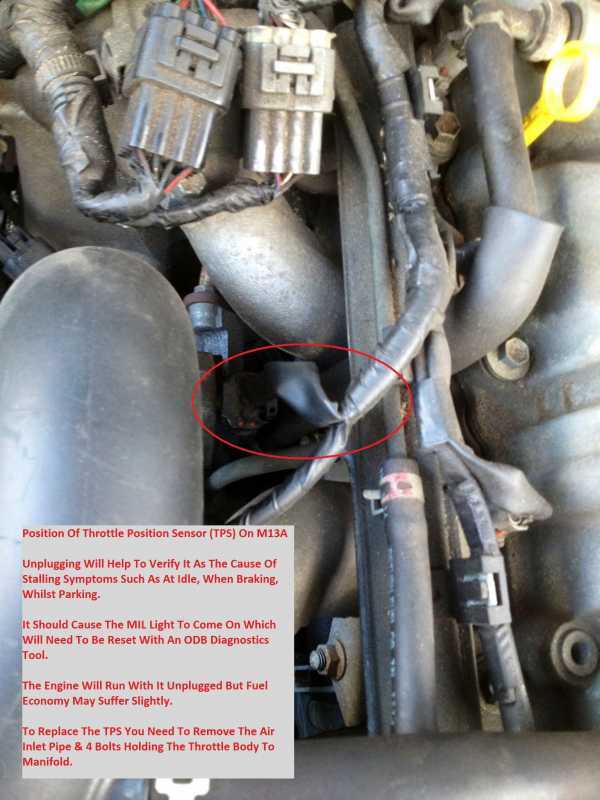 Had the same symptoms and turned out to be a broken throttle position sensor. Replaced it and all was good again. You can unplug it and the engine will run. Maybe not optimally but should stop it stalling. Cheers for that, could be it as I was poking about yesterday fitting air horns. The TPS is fitted to the Throttle Body. If your facing the car front on it's on the right hand side of the throttle body between the head/cam cover and above the inlet manifold. Has a black connector fitted with 3 wires to it. Will take a pic tomorrow. Some people have indicated the wiring can be at fault and there is a way to test it but in my opiniom its most likely the sensor on its way out. I think the fact the Jimny can be a tad bumpy makes your foot bounce about on the throttle pedal which prematurely wears out the tracks on the PCB in the TPS causing an irratic signal to be sent to the ECU which upsets the idle. Last edit: 03 Dec 2012 21:39 by Licksan.